Flooded by tourists all week long, the humble Maxwell Food Centre and Market has become a popular lunch destination for great hawker fare. 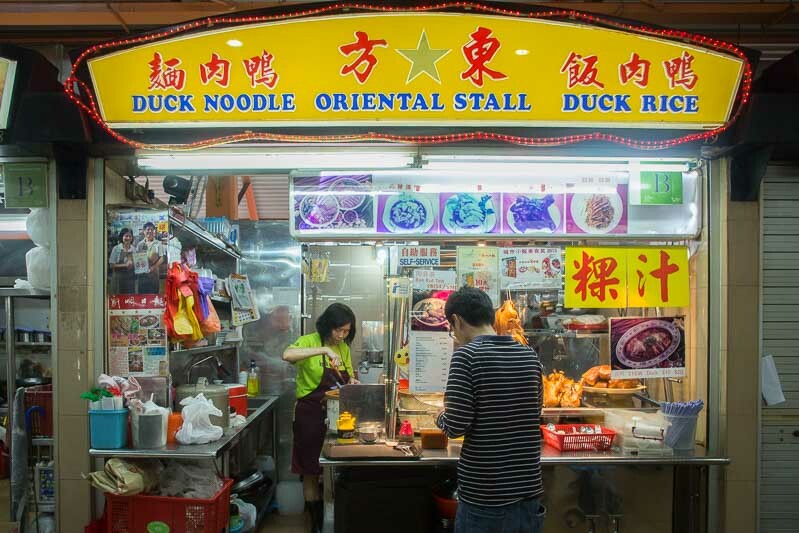 Singapore hawker fare is not only a staple of our everyday lives, but has also become a point of national pride with several well-known local dishes to proudly call our own. 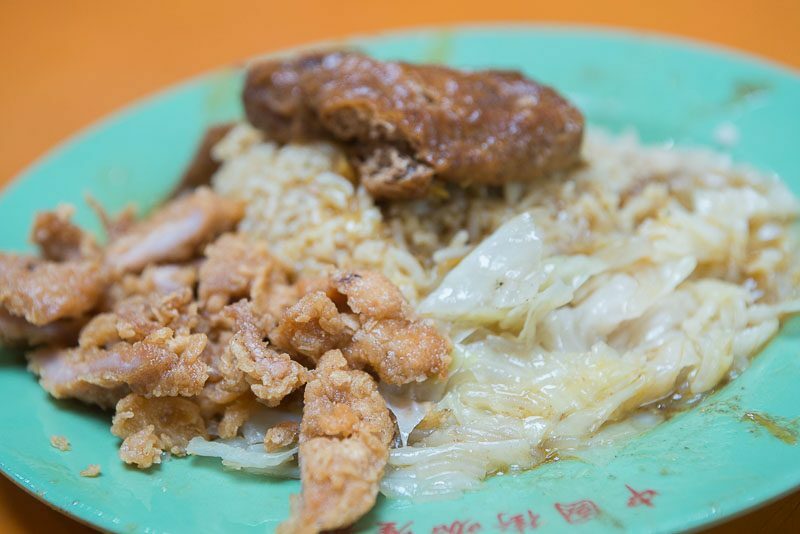 Aside from the well-known stalls, including Tian Tian Chicken Rice, Zhen Zhen Porridge and Jin Hua Fish Soup, here are eight stalls At Maxwell Market to check out too. 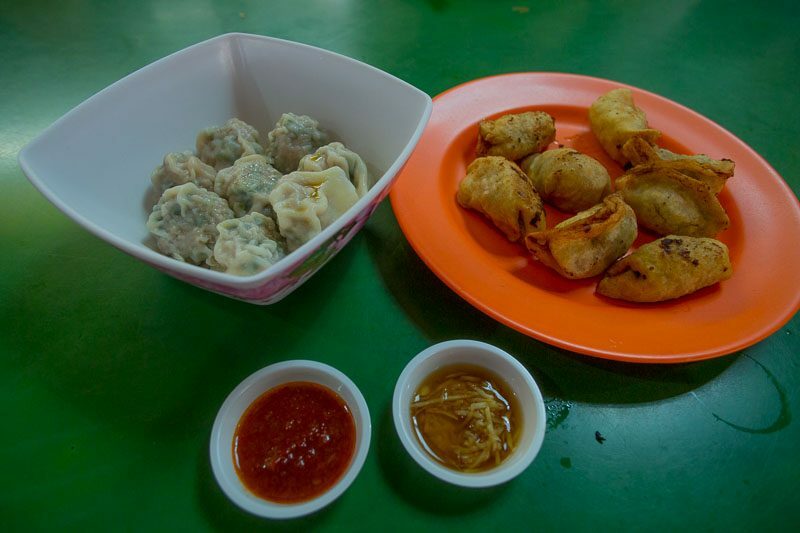 Having relocated from the famous but now-demolished Margaret Drive Food Centre to Maxwell Food Centre, Special Shanghai Tim Sum continues to serve delicious dumplings at affordable prices here. Don’t be fooled by its simple and fuss-free presentation. The steamed dumplings and fried dumplings ($4 for eight pieces each) were all made to order and arrived piping hot with an ample amount of well-marinated pork and chives. Accompanied with special chilli sauce and ginger slices in vinegar, we found that both went well with either of the dumplings! 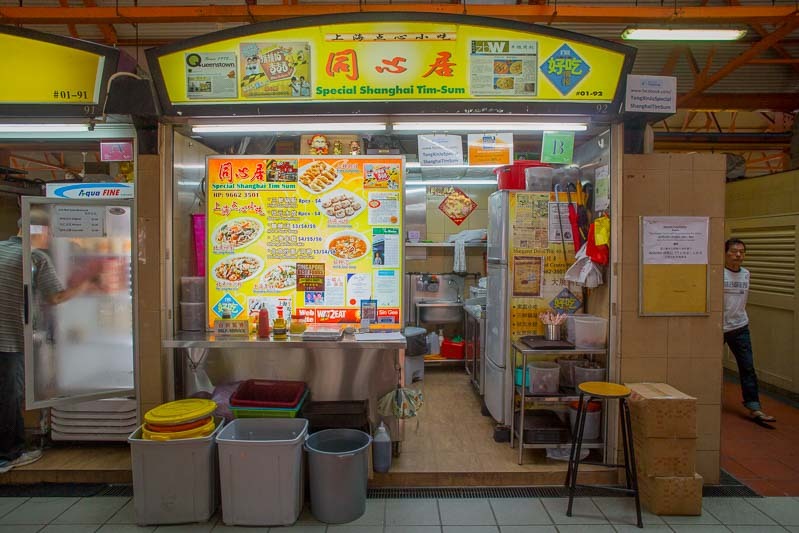 Oriental Stall has been a longtime tenant of the Maxwell Food Centre. 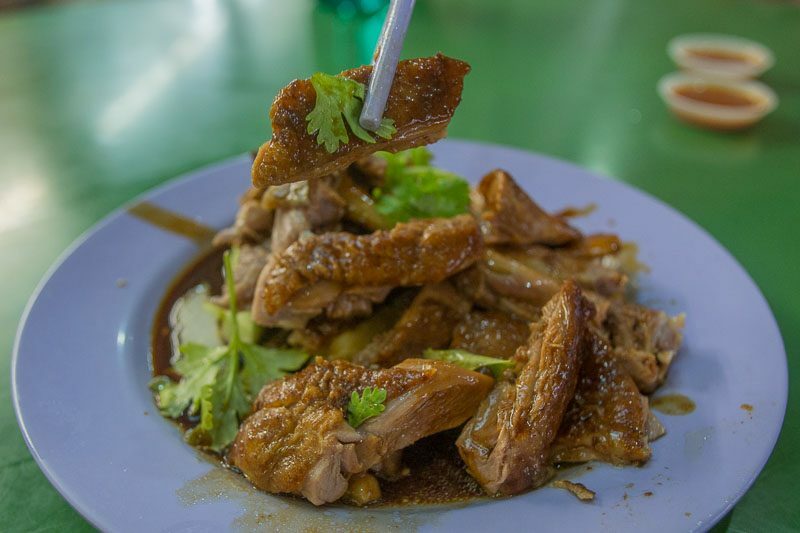 While they do serve other dishes, such as kway chap and bak kut teh, we recommend you go straight for the braised duck. Here, we ordered a larger portion of the braised duck ($10) for sharing. Expertly braised, every piece — even those that look dry and sinewy — is really tender. For the fattier pieces, dip them in the tangy and sweet chilli sauce in order to cut through the oiliness and you’re good to go. 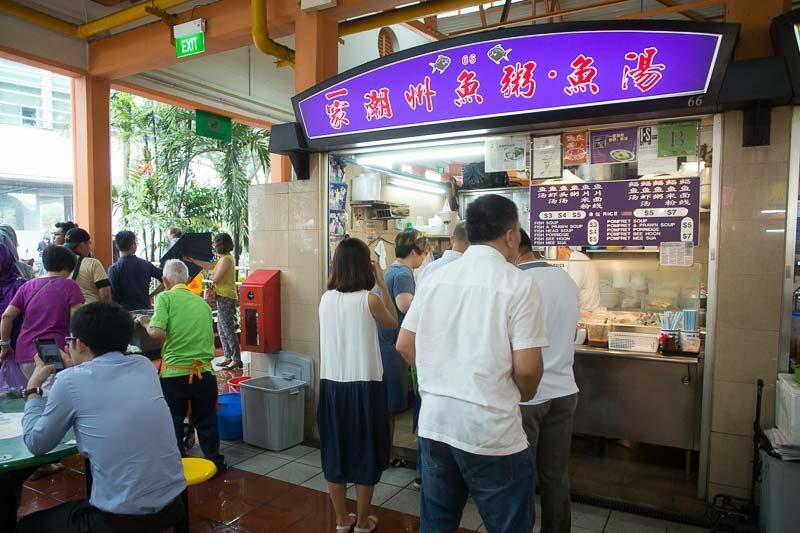 An insanely popular stall during lunch, Yi Jia Chao Zhou Yu Zhou — or, One Family Teochew Fish Porridge — has been serving fresh and affordable fish porridge for the past few years without raising prices at all. With all the fish proudly displayed on a bed of ice for customers to see, it’s clear that they take a lot of pride in cooking with fresh ingredients. Patrons have a choice between the popular batang (Spanish mackerel) or the pricier pomfret. With so many other stalls to try, we opted for the batang fish soup ($3) to save some stomach space. Upon the first sip, what struck us most was how light and clean-tasting the soup was; much more so than most fish soup stalls around (some may even call it bland). The lightness of the soup here is what pushes the fish’s natural flavours to the foreground. Each slice of fish was firm, smooth and fresh. For those who prefer stronger flavours, there are condiments available on the side such as sliced ginger, minced garlic and salted bean sauce to adjust the taste to your liking. Serving economical beehoon, China Street Rickshaw Noodle has been here for as long as I can remember. 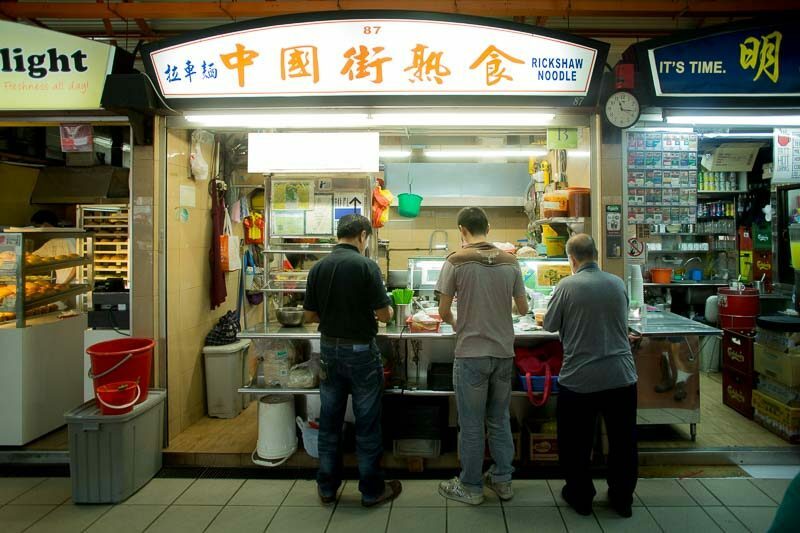 For those curious about the name, it’s because the owners used to go around peddling noodles on their rickshaw before being permanently relocated to Maxwell Food Centre. 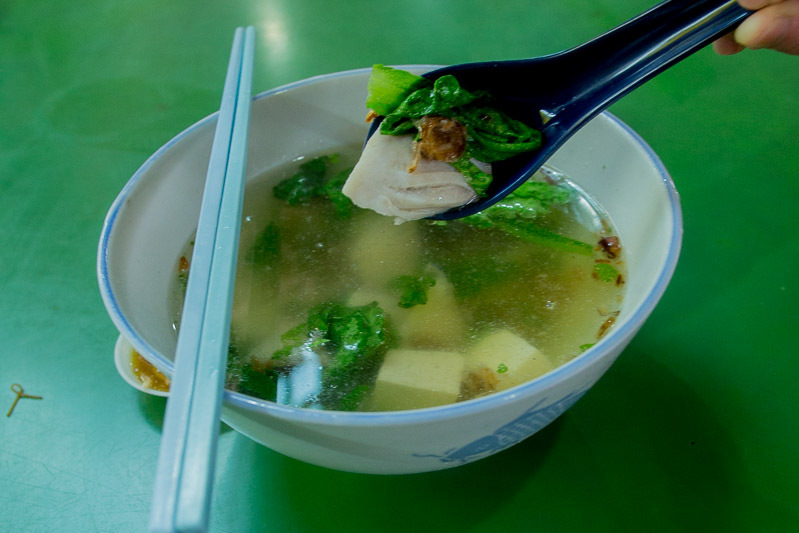 Along with the fried ingredients, the stall provides three carb options in the form of fried noodles, vermicelli soup and yellow noodle soup ($1 for small, $1.50 for big). The ingredients here such as the ngoh hiang and mini fish filets ($0.30 each) were lightly fried to order and arrived warm and crispy. 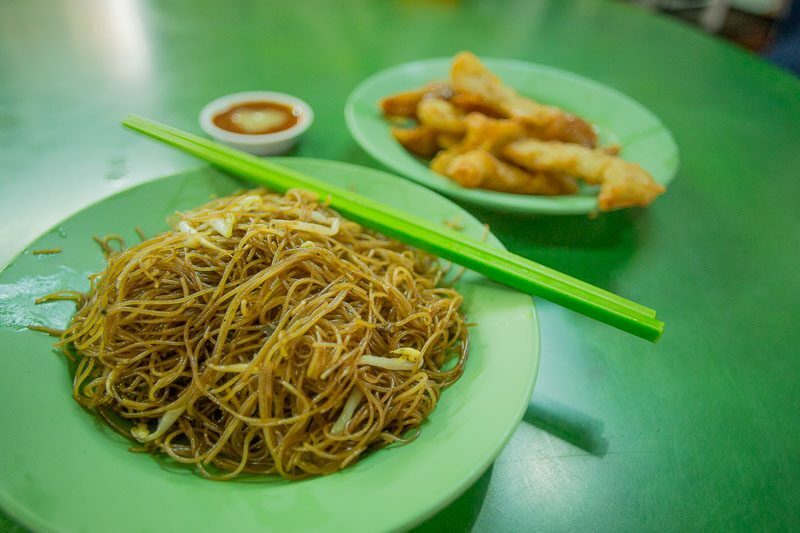 The beehoon here was less oily than most places, which made it drier (in a good way) and gave it a nice chewy and springy texture. Don’t forget to mix some garlic into their special chilli sauce for a fiery kick! 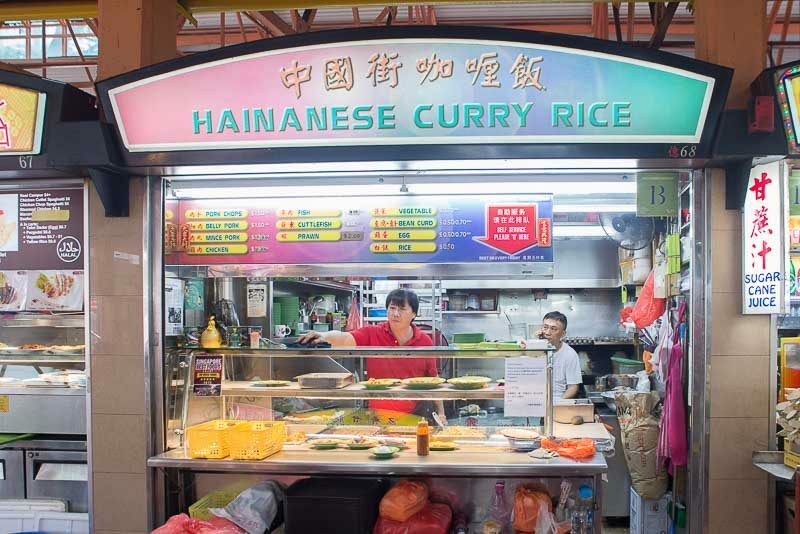 Another favourite of the lunch crowd, prices at Hainanese Curry Rice are relatively cheap. We opted for braised cabbage, pork chops and braised taupok which came up to a grand total of just $3.20. Our rice was slathered first in black gravy and then again in smooth curry. While you can technically have your rice with anything, most orders always include the pork chops and braised cabbage above all other dishes. Slow-cooked for hours, the braised cabbage was extremely soft while the pork chop was crispy, tender and well-seasoned in Chinese five spice. The taupok was commendable as well, having absorbed much of the savoury braising sauce. Overall, it made for an affordable and filling meal. 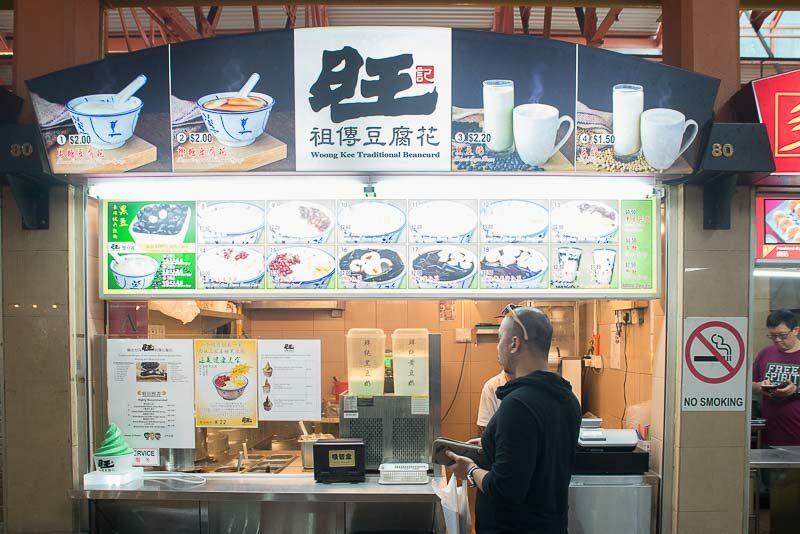 A considerably newer addition to Maxwell Food Centre, Woong Kee Traditional Beancurd focuses mainly on black soya beancurd and grass jelly desserts. In an attempt to beat the heat, we opted for the Black Bean Soya & Grass Jelly Ice Cream ($2.50) to cool us down. 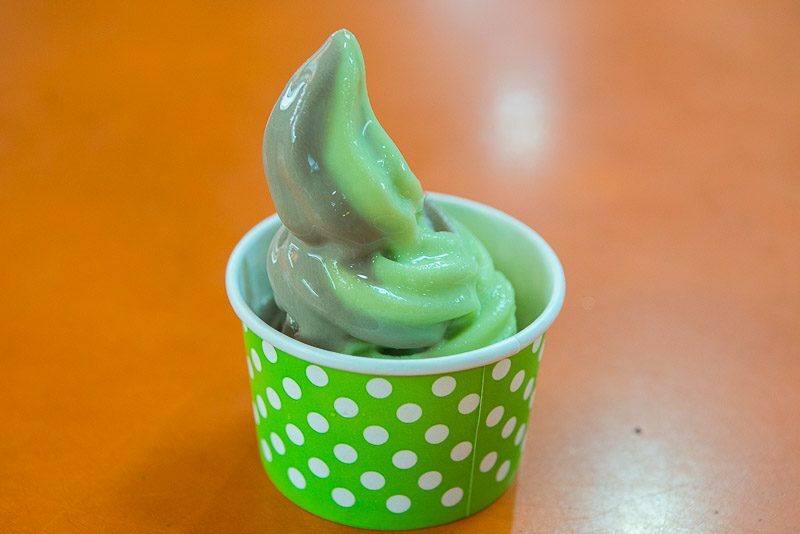 While soy beancurd ice cream has become increasingly commonplace in Singapore, the same cannot be said for its grass jelly counterpart. The combo of the two flavours tasted just like the ‘Michael Jackson’ (soy milk + grass jelly) drink that we all know and love. The grass jelly flavour here was especially prominent and worked well to complement its black soybean half. If you’re looking for a dessert to go along with your hawker feast, do give this a try! 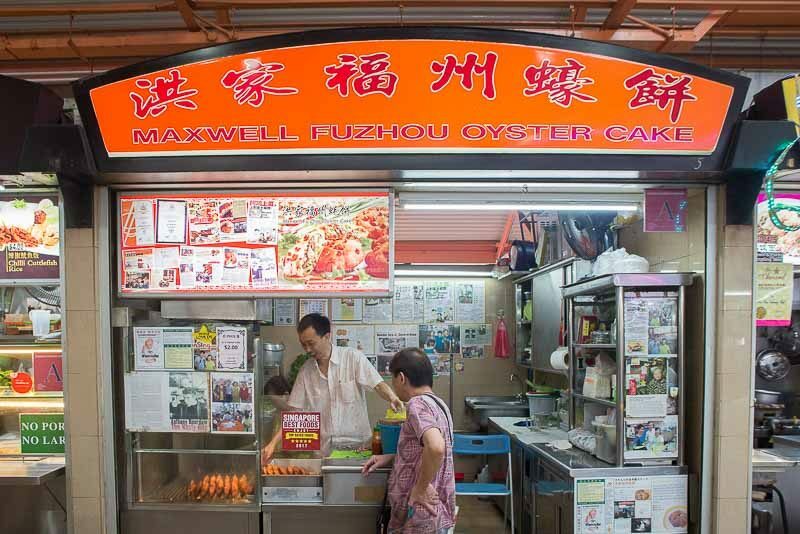 Try Maxwell Fuzhou Oyster Cake when looking for a savoury snack instead of a full meal. As the name suggests, oyster cakes are the only thing they serve and it’s definitely done well here. While not exactly fried to order, the oyster cake ($2) we had was relatively fresh and arrived still piping hot since a steady stream of customers meant that the owner is always cooking up new batches. Our first time trying this, we expected only oysters and were thus surprised to find a well-seasoned mixture of minced pork, prawns and celery in addition to the oysters. 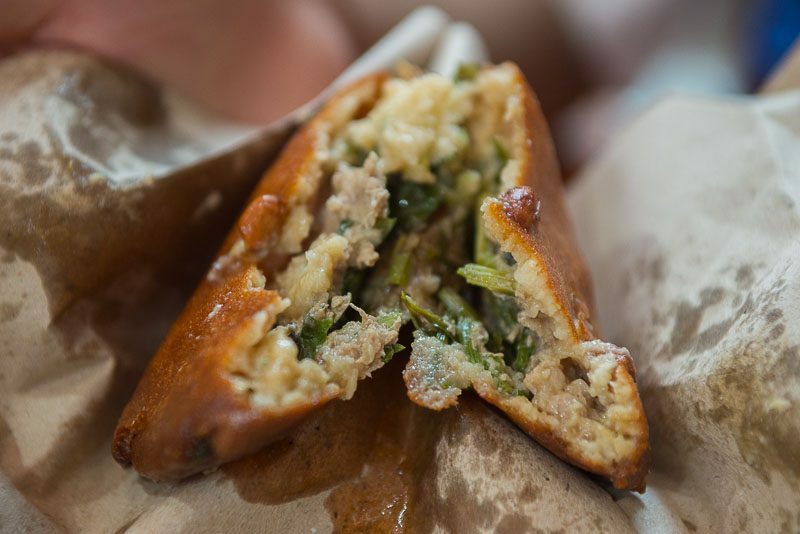 The oyster cake was especially crispy around the edges while the doughy interior was warm and slightly chewy. 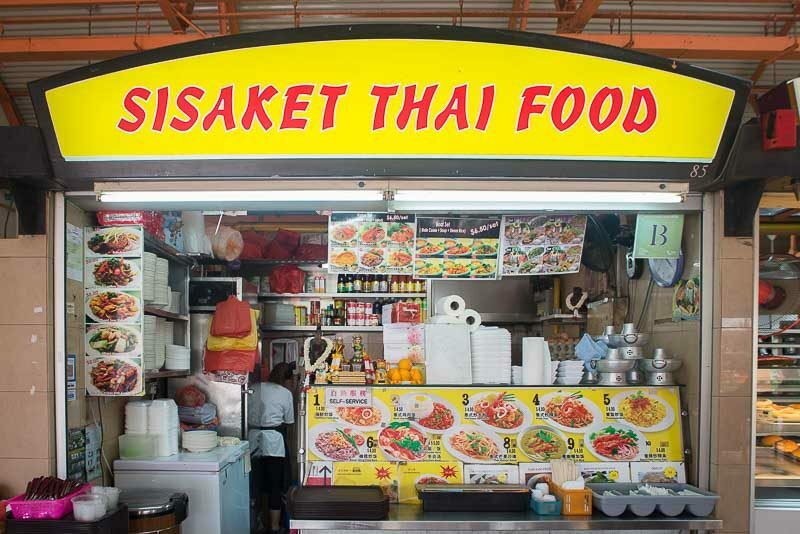 Tucked in a corner of Maxwell Food Centre, Sisaket Thai Food enjoys a steady following from its regular customers. From its decently large menu of Thai cuisine, we decided to try their rendition of pad thai ($4). Before the pad thai arrived on our table, we could already smell its smoky and eggy aroma wafting towards us. On its own, it was too sweet but with a squeeze of calamansi juice, this version of pad thai became bold, punchy and truly shone with all of its flavours taking centre stage. The springy rice noodles were savoury, sweet and tangy all at the same time. 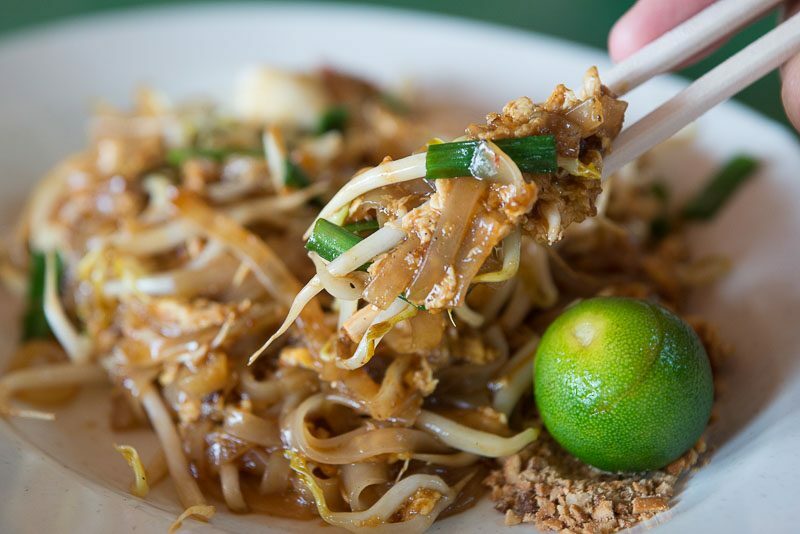 The beansprouts and peanut shavings elevated the dish further by providing a hard and crunchy contrast to the soft and chewy noodles. This was one of the best versions of pad thai I’ve ever had in Singapore, especially in this price range. Of course, there are many other great hawker stalls in Maxwell Food Market. It’s no accident that this place enjoys repeat visits from both tourists and local foodies. I myself am already looking forward to my next visit! P.S. : I can’t wait for Maxwell MRT Station to open.